One-stop shopping doesn’t mean you have to settle for those “big-box” stores for your Power Equipment Service and Sales, Hardware, Equipment Rental or Party Rental needs. At Chatfields, we give both homeowners and contractors the depth they crave and the expertise they deserve…without the hassle. Customer Service isn’t just an empty promise at Chatfield’s. For more than 40 years, Chatfield’s has been a family business that has prided itself on providing our customers with knowledgeable customer service, no matter what. Unlike the “big-box” mentality, Chatfield’s experts are trained to actually listen to customers so we can assess the best solution for their needs. When customers need advice, we are ready to help. Chatfield’s team provides customers with the information they need so they can make decisions that best fit their project…and their budget. 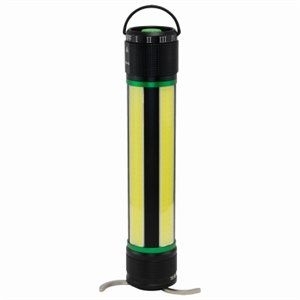 Whether customers want to rent equipment to complete that job on a “Honey Do” list, or need to rent party items for a backyard party or wedding, or even need a Portable Toilet for home events or a construction site, Chatfield’s Equipment Rental and Party Rental sectors have it covered. Power Equipment Service and Sales provides another dimension to Chatfield’s. Our extensive line of Power Equipment, which has earned Chatfield’s the distinction of being named a Pro Gold Scag dealer as well as a Stihl Elite dealer, is second to none in the area. But more important than a vast selection, we are proud of our tradition of standing behind what we sell. If we sell it, we fix it. Try doing that with those “big box” guys. Don’t get boxed in by the big guys. Chatfield’s is here to help. 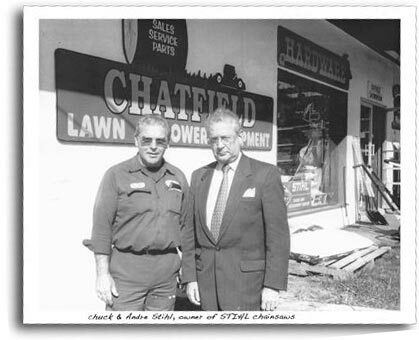 Chuck Berger Sr. opened Chatfield Power Equipment Co. in Seymour, Connecticut in 1966. With his passion being power equipment, Chuck provided the local altcommunity with his expertise in both sales and repair of a wide variety of power equipment. In 2000, 190 Main Street South in Southbury become the new 10,000 square foot consolidated home of Chatfield, which today is run by Chuck’s son, Chuck Jr. 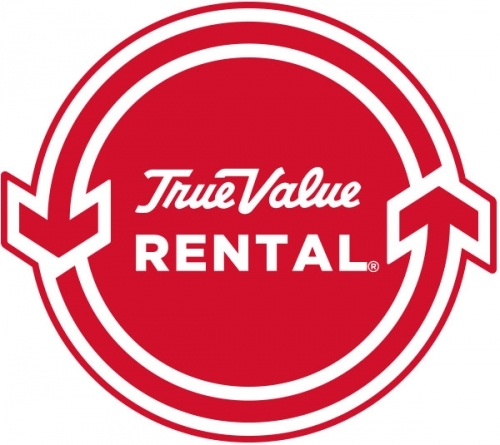 The site, which draws customers from the greater Southbury area and throughout the state, houses Chatfield’s Power Equipment Service and Sales, Chatfield’s True Value Hardware, Chatfield’s Equipment Rental and Chatfield’s Party Rental. 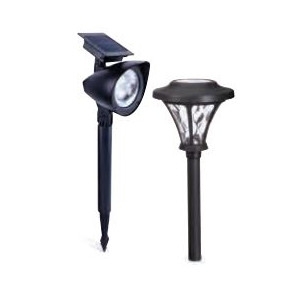 Chatfield’s decades-long history of providing customers with what they need, rather than what the store needs to sell, has established Chatfield’s as the region’s trusted source for customer needs. Our customers know we take our slogan seriously.